Biju Janata Dal MP and former Union Minister Arjun Sethi is the fourth lawmaker to have resigned from the party. The 78-year-old parliamentarian submitted his resignation letter to BJD chief Naveen Patnaik (in photo). Biju Janata Dal MP and former Union Minister Arjun Sethi on Saturday resigned from the regional party after he was denied ticket to contest the upcoming Lok Sabha election. 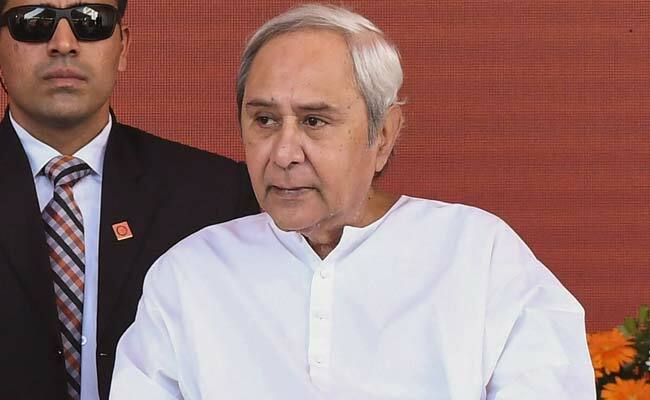 BJD president Naveen Patnaik replaced the eight-time MP from Bhadrak Lok Sabha constituency with Manjulata Mandal, the wife of sitting party MLA Muktikant Mandal. The 78-year-old Sethi has submitted his resignation letter to Chief Minister Naveen Patnaik. He has also quit as Member of Parliament as well as from the post of Bhadrak district BJD president. Mr Sethi said, "I wanted to meet Naveen Patnaik but was not given an appointment. I waited for four hours but failed to meet him. At this old age, it was embarrassing that I had to wait for so long." "I am pained that neither I nor my son was given ticket to contest in the ensuing polls," Mr Sethi told reporters. He claimed that Mr Patnaik had earlier assured him to consider his candidature or giving ticket to his son. Bhadrak Youth BJD president Durga Prasanna Das, a supporter of Mr Sethi, also resigned from the party. Mr Sethi, who was Union Minister for Water Resources in the Atal Bihari Vajpeyee Ministry from 2000 to 2004, is the fourth BJD MP to have resigned from the party. Nabarangpur MP Balabhadra Majhi, Kandhamal MP Pratyusha Rajeswari Singh and Kalahandi MP Arka Keshari Deo have already resigned from the BJD. While Balabhadra Majhi and Pratyusha Rajeswari Singh have joined BJP, the BJD president has not accepted the resignation of Arka Keshari Deo. Mr Sethi was yet to take decision on his next course of action. Sources said Mr Sethi may also join the BJP if the party makes him a candidate from Bhadrak Lok Sabha seat. BJP was yet to announce the name of its candidate from Bhadrak (SC), Jagatsinghpur (SC), Jajpur (SC) and Mayurbhanj (ST) Lok Sabha seat. "BJD president Naveen Patnaik today expelled Siba Prasad Gouda and K Ramkrishna from Gunupur constituency in Rayagada. Besides, Kanhu Singh from Banki constituency in Cuttack district has also been expelled from the party. The trio has been expelled from the party for their indulgence in anti-party activities," BJD state secretary Bijay Nayak said in a release.